And so our merry band of survivors finally join together, putting aside their differences and forming a cohesive team. Its the classic scenario, one that we’ve seen time and time again. 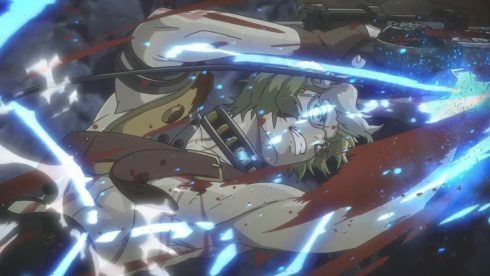 While this particular idea has been done to death, in numerous stories and tales, I do think there is something commendable about how satisfying Kotetsujo no Kabaneri makes it all feel. There’s no original ideas here sure, but the execution of every tried and true trope, every classic dynamic is master-class, and that definitely makes all the difference. 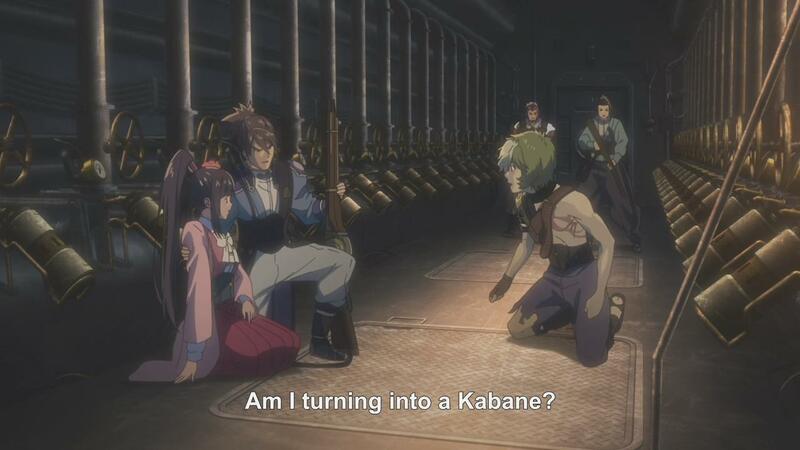 Kotetsujo no Kabaneri is a fun show, an entertaining show, it has substance and depth, but it also borrows heavily from every trope, character archetype and dynamic that’s been run to the ground. If this show looked any less spectacular, if the art direction, music, animation, voice work, if any piece of the production lagged even a little behind, then this show would be forgettable at best, and darn annoying at worst. 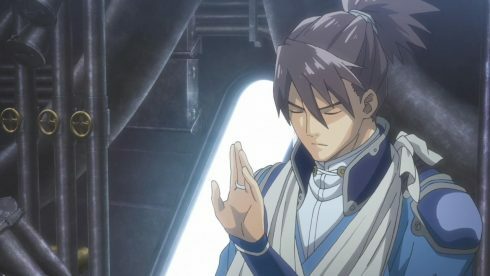 Yet, as I think this week’s episode once again proves, its better to do something simple and do it really well, rather than try to reach for the skies and fail miserably. So this week pretty much did that, it finished up the setup for what will be our major dynamic for the series moving forward. 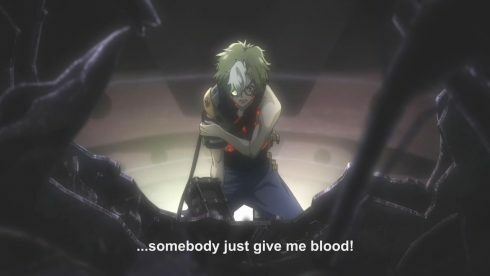 I know I’ve drawn a lot of parallels between Kotetsujo and Shingeki no Kyoujin, but this week, what the show reminded me the most of, was High School of the Dead. 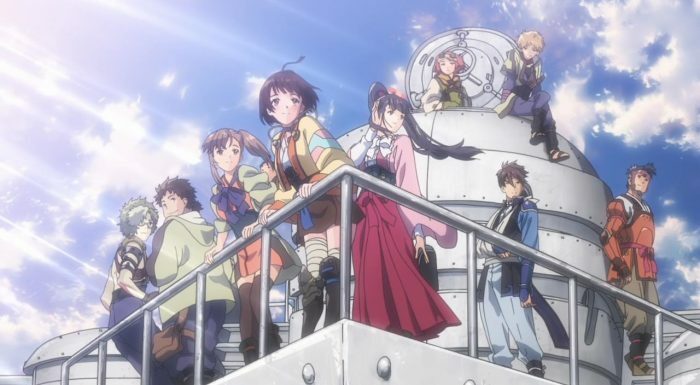 The slow but comfortable slotting of characters into their obviously pre-made roles, the alliance that formed between all these different and disparate groups of characters, it all felt like what High School of the Dead did with its own cast in its early days. 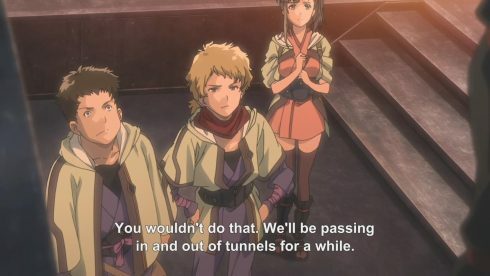 Ikoma, Mumei, Ayane, alongside their own supporting groups of characters, are just people that would never really interact if things were “normal”. 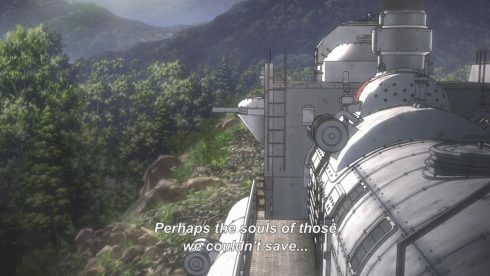 Its in this desperate situation of clear tragedy, that all these seemingly isolated individuals come together, for the greater good of protecting the weak, and surviving through another day. 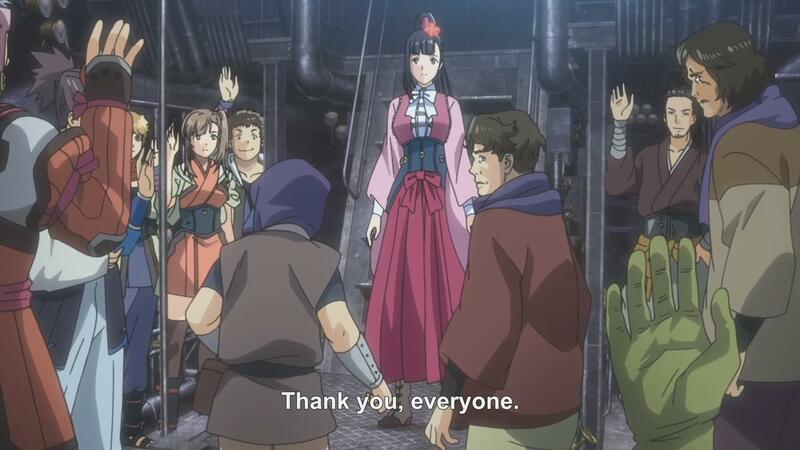 Ikoma and Mumei finally are accepted for who they are, and what they are. There’s a give and take, a sense of “we need each other” in the show’s heroes by the end of the episode. 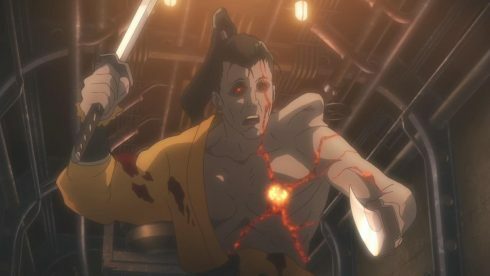 Ayane realizes that Ikoma and Mumei aren’t some grand saviors, but rather beings that need help and support (and blood) as well, and its by her coming into her own, and retaking control after a serious lack of confidence, that everything begins to progress forward again. 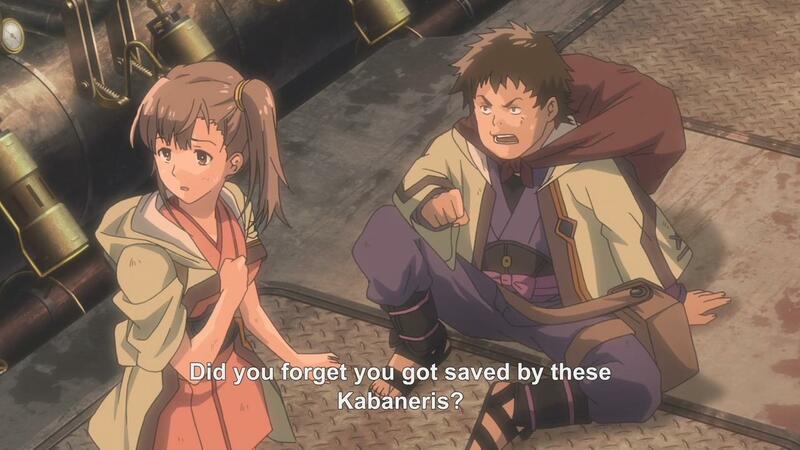 Even Kurusu, who I’ve hated thus far, kind of steps back a bit and at least realizes the error of his previous ways. 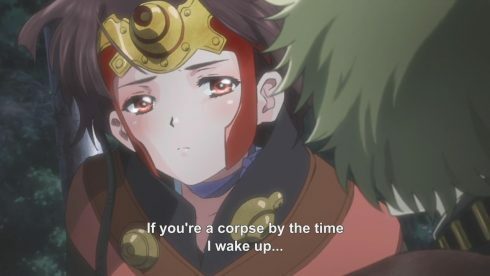 He’s still obviously going to be cautious of Ikoma and Mumei, but at the very least the guy concedes to joining everyone else in the call for blood. His change of heart does feel a bit sudden, especially considering where he starts at in the episode. Kurus goes from stopping Ikoma from biting Ayane to actually realizing and accepting the Kabaneri as necessary. And that is a bit of a leap but what I’ll say is that the show at least puts him at a point where the change of heart seems possible. 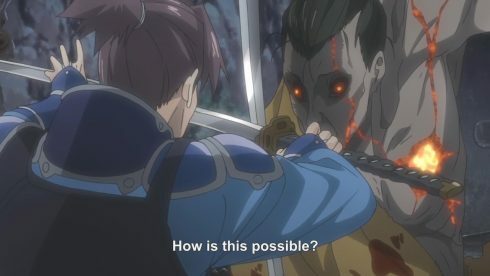 Kurus does after all, fail to win himself, and does become powerless. The best he’s able to do, near the end, is just really rely on Ikoma to save them all. 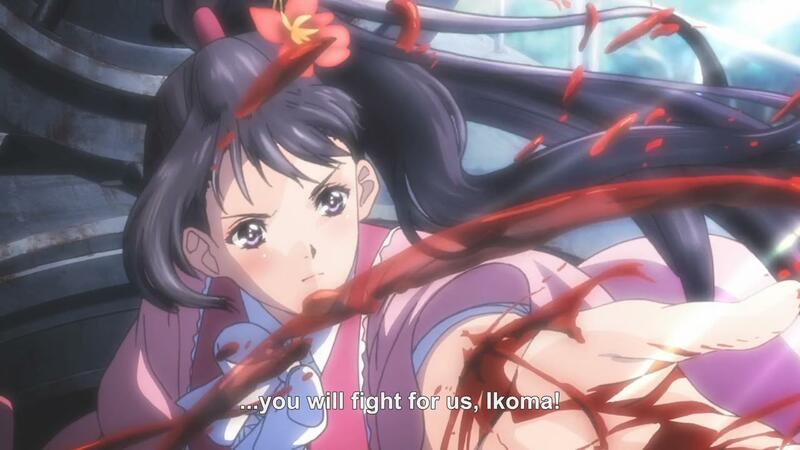 Yes, Ikoma’s kind of the hero this time. Mumei? She, herself kind of takes a back seat this episode, if only because this really does end up becoming Ikoma’s actual coming out party. 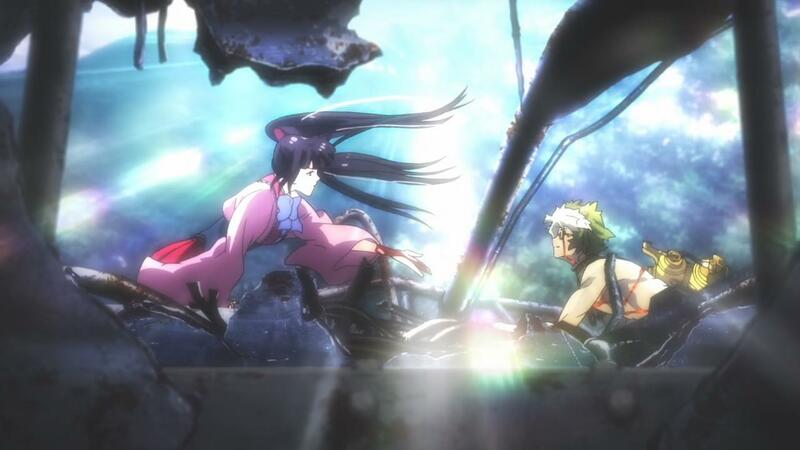 He finally leaves that last bit of doubt and becomes a capable and confident main character, one that both seems to understand himself, and is able to come through in a real pinch. The flip side, of course, is that Ikoma actually does need blood and Ayane’s support to be able to act. Its a win win really, and kind of cements how every character we see on screen, has a purpose and connection. 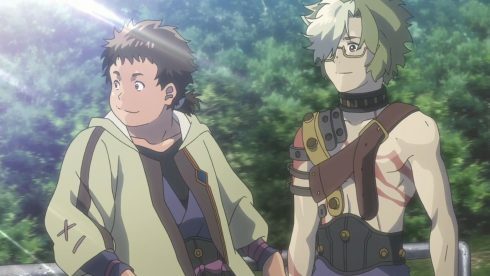 Takumi and the other girl (her name escapes me) are the supporting characters, and friends to our main Kabaneri Duo. 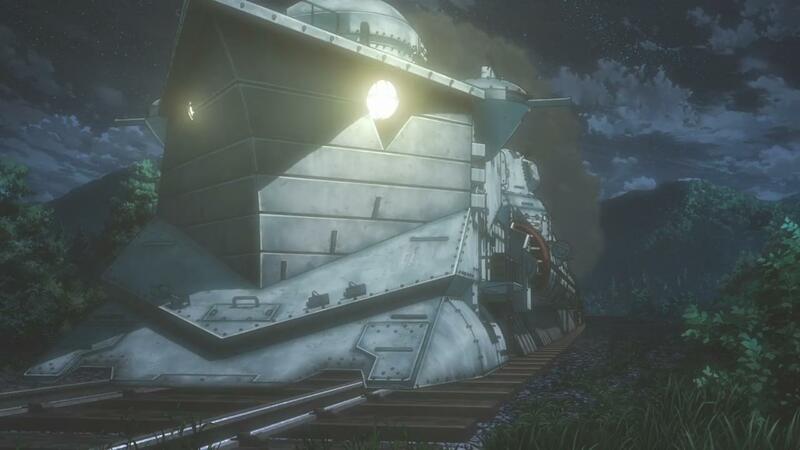 Ayane is the figurehead and leader of the train, Kurusu her right hand man. 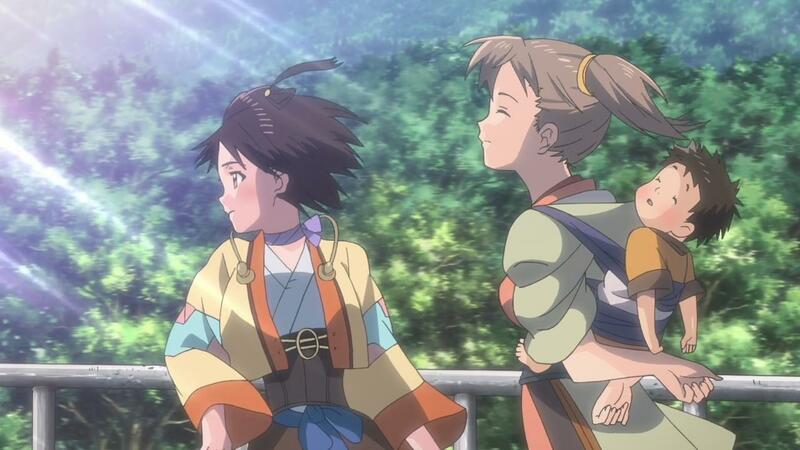 There’s also the conductor girl, and the sarcastic dude who seems to be knowledgeable about the train routes. We also have another Bushi, a tall bigger guy, join in with Kurusu as a sort of permanent member of the core cast. All these characters do join up well, play off of and work well with one another, and thus the so called “forming of the team” feels earned. But as anyone can tell you, that’s nothing new or entirely noteworthy. 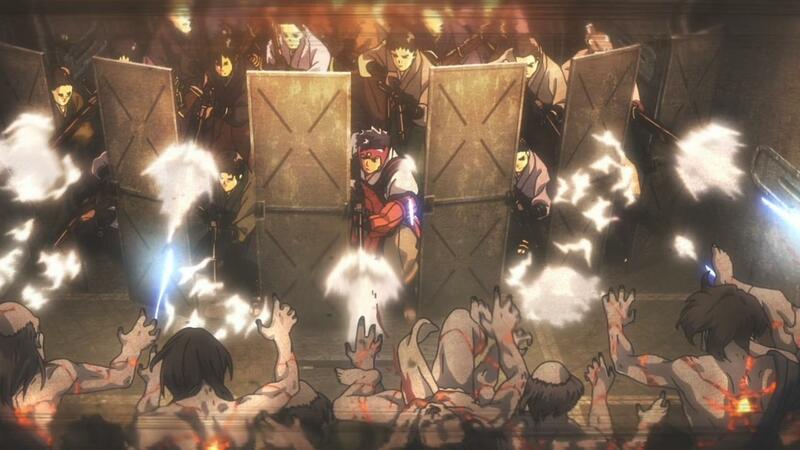 Its nice to see all characters finally band together and put aside their doubts and differences, sure, but I think the gloriously animated and expertly choreographed zombie battle is what sells it all. There’s an almost video-gamey nature to how the Kabane in this show have different types and variations. 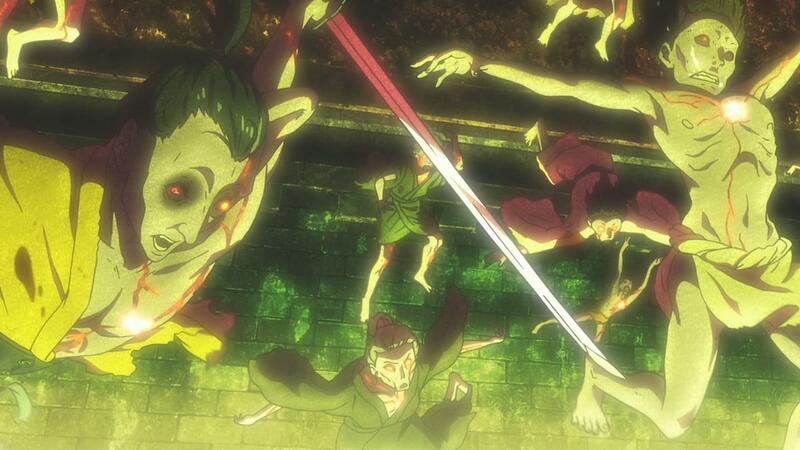 There’s a Wazatori this week, a sort of Kabane that can actually fight and use swords. The explanation of the monster just evolving through experience not only makes a decent amount of sense, but kind of adds a new element of danger here. 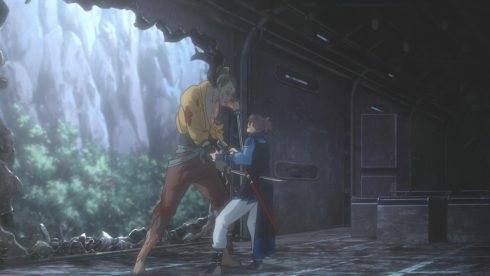 Unlike other zombie shows and stories, these monsters can evolve, learn and adapt, and that means that zombie threat in this show is a lot more nuanced, and possibly even limitless. 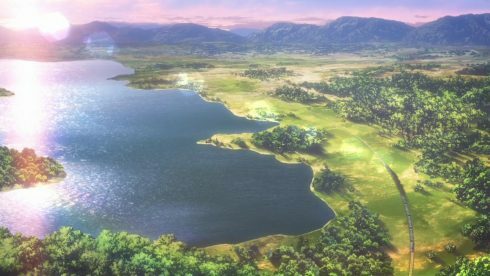 Again, if this were a video game, the Wazatori this week would be kind of a stage boss, and this episode itself would kind of mark the end to introduction to the game itself. While not original, its still clever though, and its smart that Kotetsujo isn’t just limiting itself to Zombie tv shows and movies, but video games as well. And getting back to the point of what this episode was, it really was the end to the “introductory arc” for this show. We know who are characters are now, we know how they relate to one another, and we know what their major goal is, now. This series is going to be a journey to get to “Kongokaku”, with everyone working together to make ends meet and survive the trek there. It’ll be interesting to see what kind of situations and problems the show will put its characters into, and how they’ll rise to the challenge. 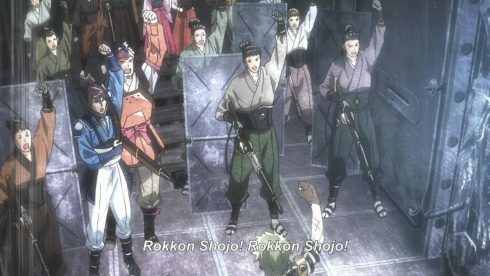 If nothing else, however, I will say that the show not only has me sold (that happened a few episodes back), but that it has me rooting for every major character. That’s an achievement in itself. I want to know more about each of these characters, I want to see how they’ll adjust, react and evolve as the story goes on. 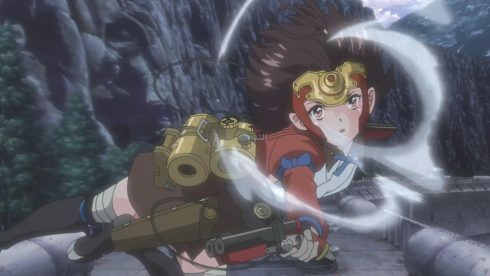 There’s a lot of depth to how Mumei’s got this facade of smartass and bravado, but actually seems very scared to be alone, or how Ayane has to come into her own as a leader, or how Ikoma has to continue to be the one that is able to protect everyone and make up for his past mistakes, e.t.c.